We'd asked you, dear readers to share your fitness stories and learnings with us. 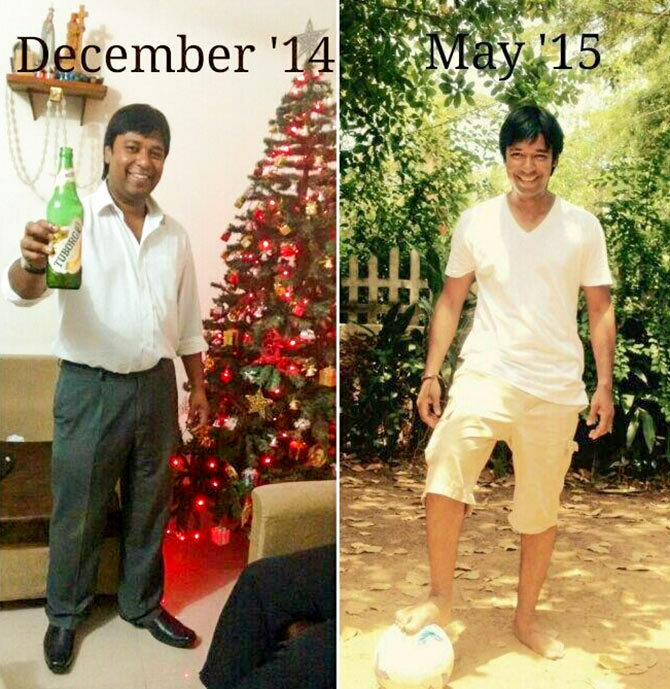 Rediff reader Larry Rub, 40 from Dubai tells us how he adopted simple habits, changed his lifestyle and became healthier. 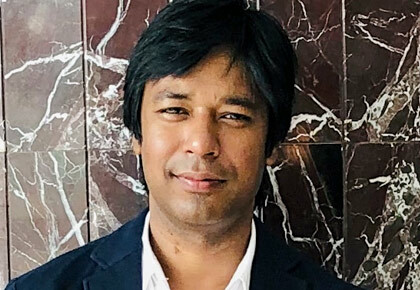 I am a corporate trainer who helps individuals gain breakthrough through behavioural shifts in their lives and by getting rid of mindset barriers. In December 2014, I realised that I had to apply some of those skills myself and 'walk the talk' a bit. I weighed 90 kg which didn't seem so much of a problem to handle as I always believed I was fit. I questioned this belief when I faced difficulties in completing a simple jog longer than five minutes. Having grown up playing outdoors as a kid, I felt the need to regain my lost energy and sense of belief in my physical fitness. White rice was replaced with brown rice. I precisely followed a 15-minute schedule, twice a day -- morning, as I woke up and evening, before I had my snack. The most important approach for me was emotional fitness. I spent more time doing things that I did as a child -- walking, running up and down stairs. I found ways to make the most of the free resources I had -- the air I breathe, the sunshine outdoors. I spent time imitating cheerful people, especially children, who usually are never short on energy and creativity, something that adults tend to leave behind in life. With all these changes, I was able to bring down my weight to 72 kg in six months and I have been able to maintain my weight till date. My message to all readers is: Do things that you can sustain when it comes to diet and exercise and you'll always see progress. I wish you all a stress free and enjoyable journey. Have you recently lost weight or survived a serious health condition? We want you to share your story with us. Tell us how you lost weight. Share your diet plan, exercise tips, learnings and more. Simply write to getahead@rediff.co.in (My Fitness Story) along with your NAME, AGE, LOCATION, along with a before and after photograph of your fitness journey. We'll feature the best responses right here on Rediff.com. How educated does an MP have to be?